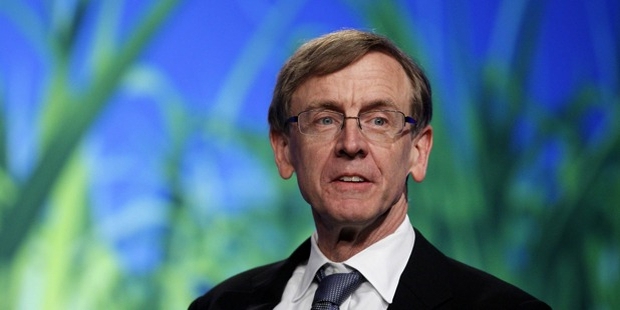 John Doerr is an American venture capitalist at Kleiner Perkins Caufield & Byers in Menlo Park, California. Doerr was born on 29th June, 1951 in St.Louis, Missouri. Doerr has four siblings. He graduated from Charminde College Preparatory School in St. Louis and then obtained his Bachelor of Science and master’s degree in electrical engineering from Rice University. Doerr completed his MBA from Harvard University. Doerr began his career with Intel Corporation in 1974 and eventually became one of Intel’s most successful salespersons when the chipmaker was inventing the groundbreaking 8080 microprocessor. He also held roles in engineering, marketing and management during his Intel days. Doer holds numerous patents for memory devices. 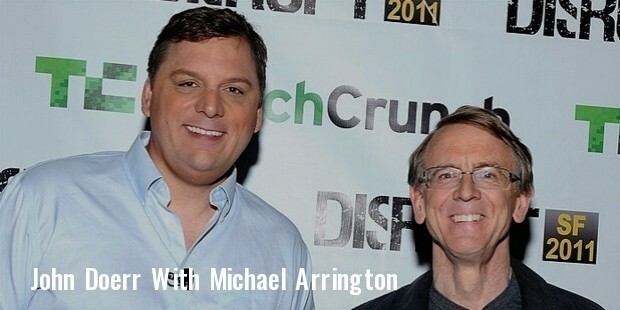 He joined Kleiner Perkins Caufield and Byers in 1980 and since then has successfully directed venture capital funding to some of the most successful technological companies in the world such as Compaq, Netscape, Symantec, Sun Microsystems, drugstore.com, Amazon, Intuit, Macromedia and Google. 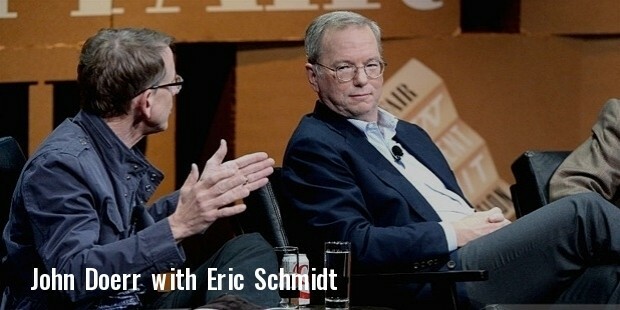 He is known to back some of world’s most successful entrepreneurs such as Larry Page, Sergey Brin and Eric Schmidt of Google, Jeff Bezos of Amazon, Scott Cook and Bill Campbell of Intuit and Mark Pincus of Zynga. Ventures sponsored by Doerr have created more than 20000 job opportunities. In 2009, Doerr was appointed as a member to the USA Economy Recovery Advisory Board by President Barack Obama to provide the President and his administration with advice and counsel in fixing USA’s economic downturn. Doerr patronizes innovation in clean energy technologies to combat climate change and has both written and testified his vocation, calling people to fight global warming. He also supports entrepreneurs focused on the environment, public education and alleviating global poverty which includes the NewSchools.org, TechNet.org, the Climate Reality Project and One.org. 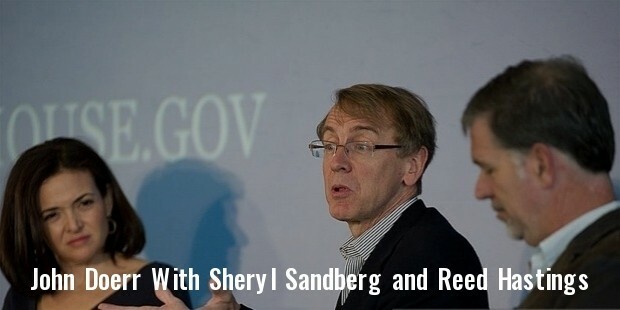 In 2008, along with Steve Jobs, Doerr announced the Kleiner Perkins $100 million iFund, declaring iphones to be more important than personal computers. 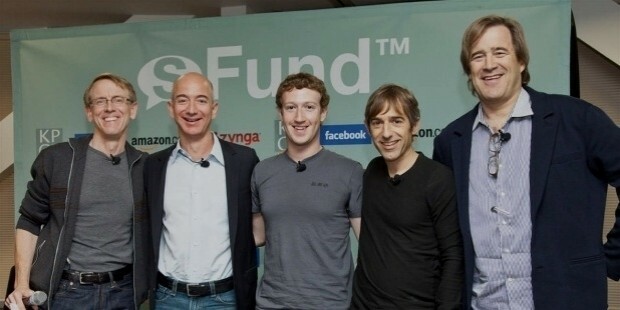 In 2010, along with the other members of the iFund, Doerr announced a further increase in its value by another $100 million making iFund the world’s biggest investment pool in the cell phone application industry. He founded Silicon Compilers, a VLSI CAD Software company and co-founded @Home, the nationwide broadband cable Internet service. In 2015, Forbes estimated Doerr’s net worth to be US$4.1 billion. 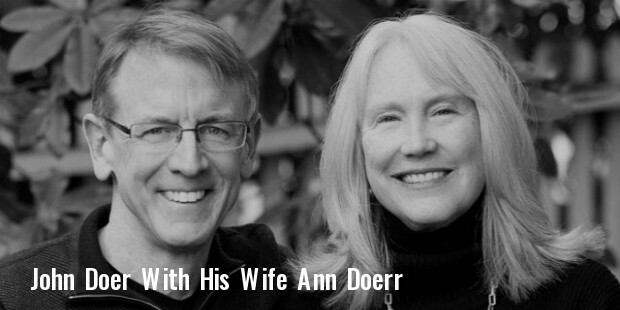 Doerr is married to Ann Howland and have two children. The family lives in Woodhouse, California. Doerr is a philanthropist and the family pledges numerous charitable causes. Doerr is passionate about working for breakthroughs to prevent avian flu and global infectious diseases. In 1997, Doerr was recognized as a Distinguished Alumnus of Rice University for his business accomplishments. 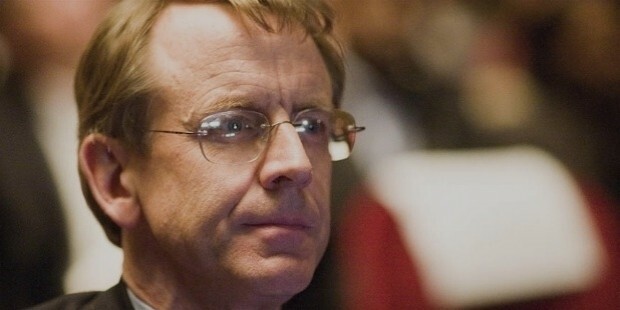 In 2009, he was named a Fellow of the American Academy of Arts and Sciences. He was inducted into the California Hall of Fame in 2010. One of world’s most connected venture capitalist, Doerr has been ranked by Forbes as the 135th richest person in the world, with a net worth of US$4.1 billion.